Women’s basketball fans will be happy to know that 2016 is filled with many events including the Summer Olympics, Women’s National Basketball League in Australia, the EuroLeague with several other national leagues in Europe and the WNBA championship in the United States. The 2016 Summer Olympics is scheduled to take place from 6-10 August 2016 and is going to be held in Rio de Janeiro, Brazil. Only the top 12 women’s basketball teams in the world are allowed to participate in the event. Rankings are established by the National Olympic Committee based on teams’ results in international or continental competitions. So far, the following teams have qualified: United States, Serbia, Brazil, Canada, Australia, Japan and Senegal. The remaining spots are going to be filled after the 2016 FIBA World Olympic Qualifying Tournament for Women. This event will be held on 13-19 June 2016 in Nantes, France and from a total of 12 national teams allowed to participate only top 5 teams will earn a place in the 2016 Olympics. Women’s National Basketball League or WNBL is the most popular league in Australia. The league was founded in 1981 and is the women’s counterpart to the National Basketball League or NBL. For the 2015-2016 WNBL season, a total of 9 teams competed against each other, with the Grand final scheduled to take place in the second half of March 2016. In Europe, the 26th edition of Women EuroLeague is due to start in October 2016. The current champions are ZVVZ USK Praha, a Czech basketball club that won the Women SuperCup for the first time. The other main competitions in Europe are considered to be the Russian Women’s Basketball Premier League, followed by Italian Serie A1 and the Turkish Women’s Basketball League. 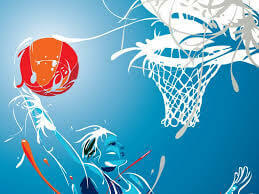 In the United States, the most famous women’s basketball tournament is considered to be the WNBA. A very important part of the competition is the WNBA Draft held each year at the ESPN headquarters in Bristol, Connecticut. For those unfamiliar with the term, the draft is a process that allows WNBA teams to select new players from major colleges or international professional women’s basketball players. The draft has great influence on the overall performance of a team during the following season which is one of the reasons why so much emphasis is put on this process. The WNBA 2016 season is scheduled to start on May 14 when Minnesota Lynx will play against Phoenix. Their latest encounter was in the 2015 playoffs when Minnesota Lynx beat Phoenix Mercury 67-60 and eventually won the Western Conference title.